RBN Web Desk: Kalankini Kankabati, one of the last films of actor-director Uttam Kumar, was released in 1981. 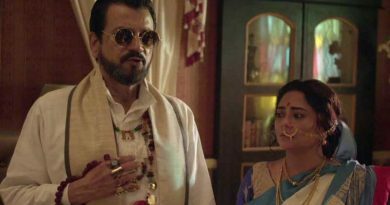 The film was left incomplete because of the Bengali matinee idol’s death who also acted in the film, and was released with some back to camera shots, using a body dummy of the actor. Uttam Kumar’s original voice was retained in many scenes as he passed away before completing the dubbing for the film. Besides Uttam, Kalankini Kankabati had a huge star cast that included Supriya Devi, Sharmila Tagore, Mithun Chakraborty, Santu Mukhopadhyay, Samit Bhanja, Lily Chakraborty, and others. The film was based on a novel of the same name by popular Bengali author Nihar Ranjan Gupta. The thriller has now been adapted for the small screen and has started airing on Aakash Aath from today. Abhishek Chattopadhyay has been cast as the lecherous and power hungry zamindar in the teleseries, the role which was played by Uttam Kumar in the 1981 film. 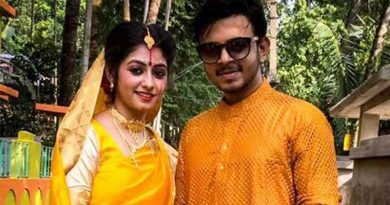 Swarnakamal Dutta and Aditya Ray have stepped into the shoes of the roles played by Sharmila Tagore and Mithun Chakraborty respectively in the film. Arnab Bandopadhyay, Anushka Nandy, and Riyanka Ghosal play other major characters. Kalankini Kankabati—the novel—has a complex plot. As a result, several subplots were omitted in the film. These have been included in the screenplay for the TV series, written by Somnath Roy. Director of the serial Manish Ghosh said that Uttam Kumar and Pijush Basu, while writing the screenplay for the film, only took the crux of the novel and wove the story around it. But in the serial, the entire plot of the original novel has been retained, he said, adding that the sequence of events follows what Gupta had written.